Looking to bring a little happiness into your life? 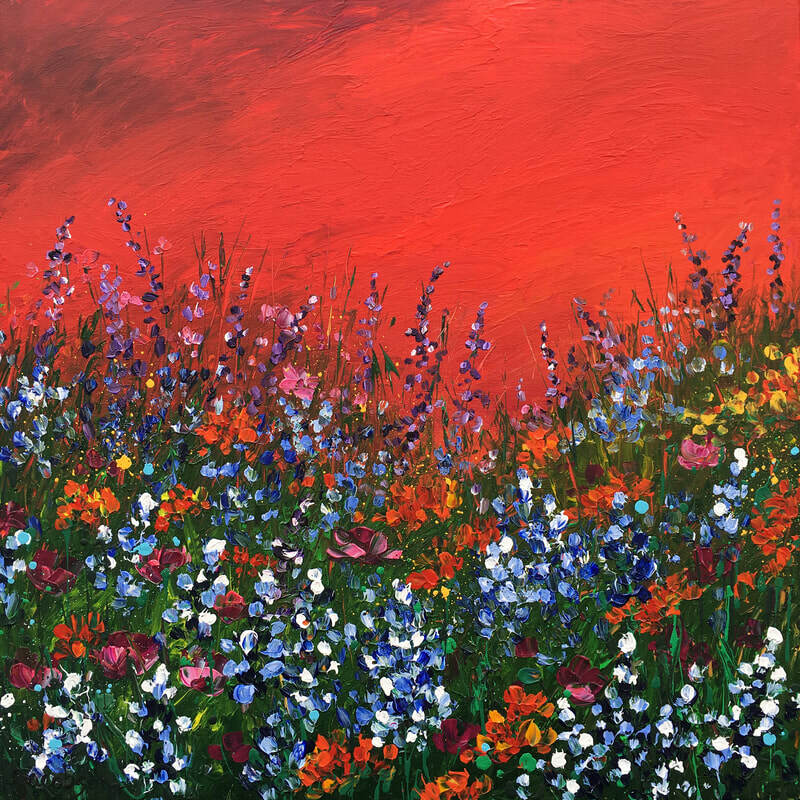 Check out the great selection of Linda's colorful wildflowers that are currently available in the online portfolios. 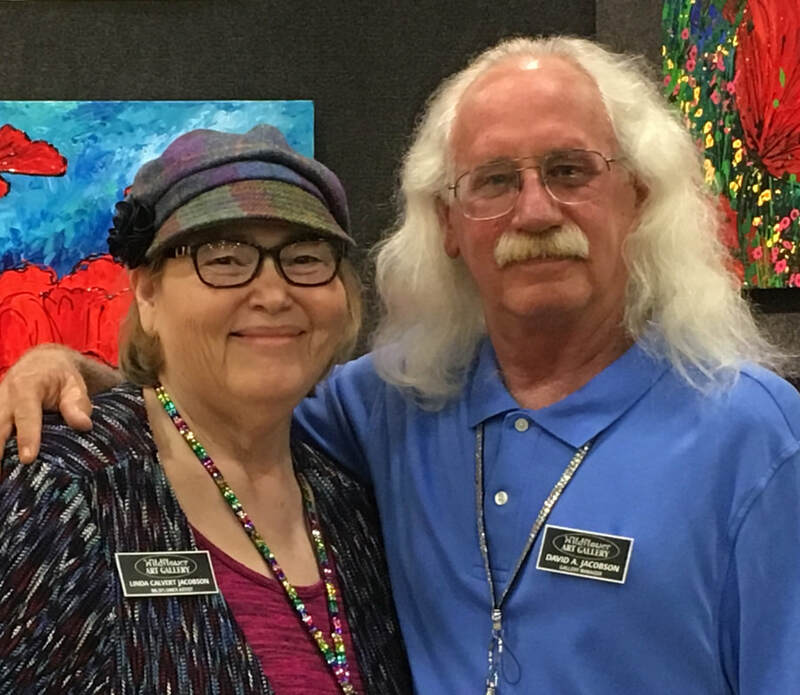 While American Artist Linda Calvert Jacobson creates wildflower paintings from her studio in in Wimberley, Texas, her husband and partner David manages their Wildflower Art Gallery, also in Wimberley. “The paintings are a spectacular addition to our home...Your work is simply captivating...."
GIVE THE GIFT OF ORIGINAL ART WITH E-GIFT CARD! Now available...e-Gift Cards for Linda's Wildflowers that you can purchase online! Let that special someone choose the painting they want when you send them a Gift Card! Wildflower Art Gallery in located in Wimberley, Texas, a historic village in the heart of the Texas Hill Country near Austin. The gallery is in the first building on the right as you enter Olde Towne Plaza, which is just a short stroll from the "Square" and next door to another fine gallery, Art on 12. 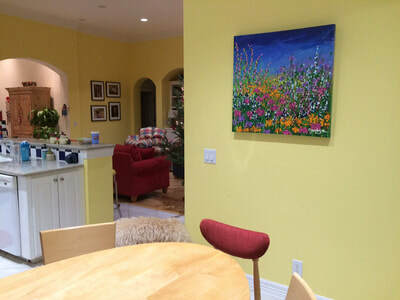 As you look through the portfolios, you may be wondering or trying to imagine how a particular painting will look in your home or business. Let us help with our in-home and in-business viewing services. And did you know, we offer free delivery anywhere in the continental US? Plus we have a "happiness guarantee" on every painting sold! Through an exclusive arrangement with Texas Highways, the official travel magazine for the state of Texas, a limited number of Linda's original 6x6 Bluebonnet paintings are now available! The paintings have been featured in issues of Texas Highways magazine, but you can also order them online in the magazine's Gift Shop. Listed under the "True Texas" tab, these are original acrylic paintings on stretched canvas, each signed and numbered.